For all the vagueness and propaganda that surrounded the Leave campaign's bid to exit the European Union, there was a clear theme that emerged among voters. This was the often controversial topic of immigration, as the relatively open borders of the EU had allowed for an influx of migrants and caused the electorate to question whether or not the government was prioritising the needs of its own people. It was this sense of fear and insecurity that was exploited mercilessly by Leave campaign, which also leveraged the fervent support of supposed out-cast Nigel Farage to carry the day and ultimately win the referendum vote. If those who voted thought that change would be swift and decisive, however, they will have been sorely disappointed. So although Theresa May replaced the outgoing David Cameron in the aftermath of the referendum results, the new Tory leadership has unfortunately dealt in rampant speculation rather than cold, hard facts and a concrete exit plan for the UK. She has pledged to trigger the dreaded Article 50 by the end of March, however, hoping to conclude what will most likely be fraught negotiations by the autumn of 2018. What Does a 'Hard' Brexit Mean, and Why is It Favoured by Voters? While these plans are a little vague and slightly ambitious, they also offer a unique insight into the type of exit strategy that the UK will pursue. Previously, there had been speculation as to whether May would prefer a 'soft' Brexit, through which the UK would maintain some form of single market access, or a harder alternative that would sever all ties with the EU and re-establish the nation's sovereignty. Any lingering doubts were settled at the beginning of the year, however, when May addressed the electorate to confirm that the UK would look to make a clean break from the EU. This reflects the true nature of the Leave campaign, while it also underlines the fact that Britain is likely to exit the single market completely. In fact, May also stated that the UK would not seek to replicate the model enjoyed by countries such as Norway and Switzerland, nor would it look to retain any form of partial or associated membership regardless of its potential benefits. This is the path favoured by Tory Euro sceptics and the majority of hard-line Brexit voters, thanks primarily to the aforementioned issue of immigration. 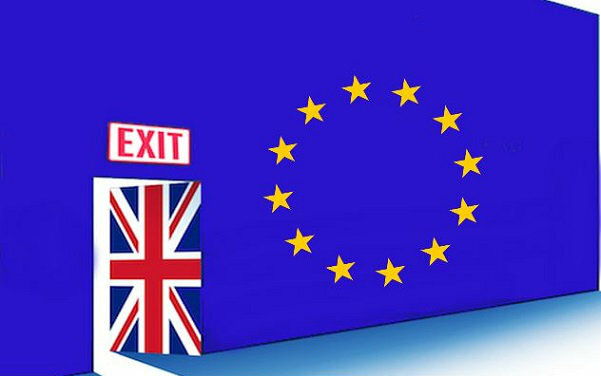 After all, while a hard Brexit will require the UK to surrender its access to the single market and redefine new trade deals with the help of the WTO (World Trade Organisation), it will also regain total control of its borders and immigration policy. This is the pivotal factor that has ultimately influence May's strategy, as she looks to deliver a result that will satisfy the majority of Leave voters. The Choice Has Been Made Between Single Market Access and Border Control, but How Will it Impact on the Pound? Ultimately, May has been forced to make a decision between single market access and full border control, as EU ministers have made it clear on several occasions that the two are not mutually exclusive. Although this will enhance her popularity among Brexit voters and ensure that she retains the majority of support among the electorate, however, it also represents a significant political gamble that does not present a very appealing trade-off. We have already seen the economic impact of this too, with the value of the pound plummeting and Chancellor Philip Hammond forecasting challenging times ahead. In the aftermath of May's announcement, ETX Capital reported that the value of the pound plunged to its lowest level since October's 'flash crash'. This nearly equalled a 31-year low, as the currency fell to $1.1986 before regaining some of these losses over the course of the next few days. While many Brexit enthusiasts will argue that the pound endured similar troughs immediately after the referendum result and May's last Brexit update in October before rebounding, there is no doubt that exiting the EU for real will have longer-term implications for the ailing pound. To begin with, a weak pound will be unable to compete with the world's major currencies, particularly the robust U.S. Dollar (USD) and the surprisingly resilient Euro (EUR). Given that it would most likely fall further once the UK severs its ties with the EU, this would dramatically increase the price of imports and place businesses under a huge strain. They, in turn, would raise their own prices to the consumer, creating a cycle of decline and oppression which is further exacerbated by rising EU tariffs. Much would depend on the UK's ability to negotiate new trade deals with Commonwealth nations and independent economies such as the U.S., of course, but these countries would hold a distinct advantage once Britain had already extradited itself from the single market. This could ultimately trigger a sustained economic decline or a recession, forcing the UK to take drastic action in the bid to undercut its EU partners and regain competitiveness. Chancellor Hammond has already suggested that London businesses would need to alter their course if they were to cope with the fluctuating pound and the prospect of increased prices, or run the risk of losing trade and customers to European rivals such as Germany. While Prime Minister May has yet to outline her plan in careful detail, she has at least delivered a clear statement of intent that prioritises immigration reform and full border control over continuity and single market access. She has taken a huge risk in the process, however, as while such a move may placate Brexit voters it could also damage the economy while dragging to country backwards and away from the concept of globalisation. A weakened pound is the first portent of how such an exit plan will impact on our economy, while it is also one that could impact on trade and consumer spending in the long run. Of course, a great many things can happen before the UK finally leaves the EU, as May must first see if she is granted the permission to trigger Article 50 without a parliamentary vote. She must also reveal a more concise and detailed exit plan to the electorate, at least if she is to justify her gamble and the choice of unchecked border control over single market access (while also reinforcing and rebuilding the value of the pound).